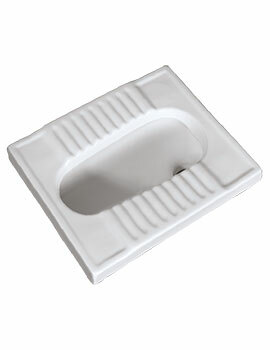 A squat toilet is a toilet used by squatting, rather than sitting. 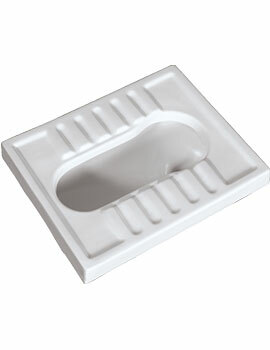 There are several types of squat toilets, but they all consist essentially of toilet pan or bowl at floor level. 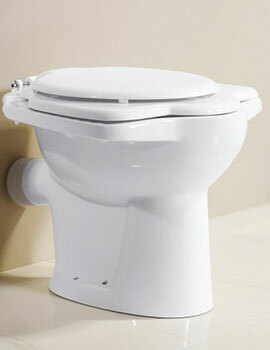 Such a toilet pan is also called a "squatting pan". The only exception is a "pedestal" squat toilet, which is of the same height as a sitting toilet. It is in theory also possible to squat over sitting toilets, but this requires extra care to prevent accidents as they are not designed for squatting.